Democratic capitalism is showing signs of deep, systemic sickness in the United States, Europe and Australasia, even as varieties of state or authoritarian capitalism are slowly becoming entrenched around the world, particularly in China and Russia. In the developing world, democratic capitalism has always had a mixed reputation. While the West preached its freedoms at home, it happily engaged in political and economic exploitation abroad. The hypocrisy of colonialism is still lost on many in the West, who ask why so many people in the developing world have found the truths of Western political and economic freedom to be less than self-evident in their own national experiences. Nevertheless, there is something elementally powerful about the underlying idea of individual dignity and freedom. Despite the baggage of colonialism, democratic capitalism succeeded remarkably in Asia, Africa and Latin America after World War II, and after the Cold War in particular. The democracy watchdog group Freedom House reports that as of 2017, 88 of 195 states were classified as “free,” compared with 65 of 165 in 1990. After the end of the Cold War, however, four structural challenges emerged to endanger the future of democratic capitalism: financial instability, technological disruption, widening social and economic inequality and structural weaknesses in democratic politics. If the West cannot overcome these challenges, they will, over time, spread to the rest of the world and undermine open polities, economies and societies. The 2008 financial crisis, one sign of a systemic sickness, occurred because of poorly regulated financial elites. The costs to governments and peoples were bailouts, lost jobs and more public debt. Governments had to scramble to save capitalism from itself as financial markets failed to self-correct. As a result, the markets privatized their profits and socialized their losses. Only one top bank executive went to jail. The taxpayer, by and large, paid the bill. And democratically elected governments were routinely tossed out because they had either failed to prevent the crisis, or were unable to manage the resulting public debt — or both. Another crisis could push the system to its breaking point. Yet a weakened Dodd-Frank Act in the United States now makes a repeat of the 2008 crisis more likely. All at a time when governments have even less room to respond. 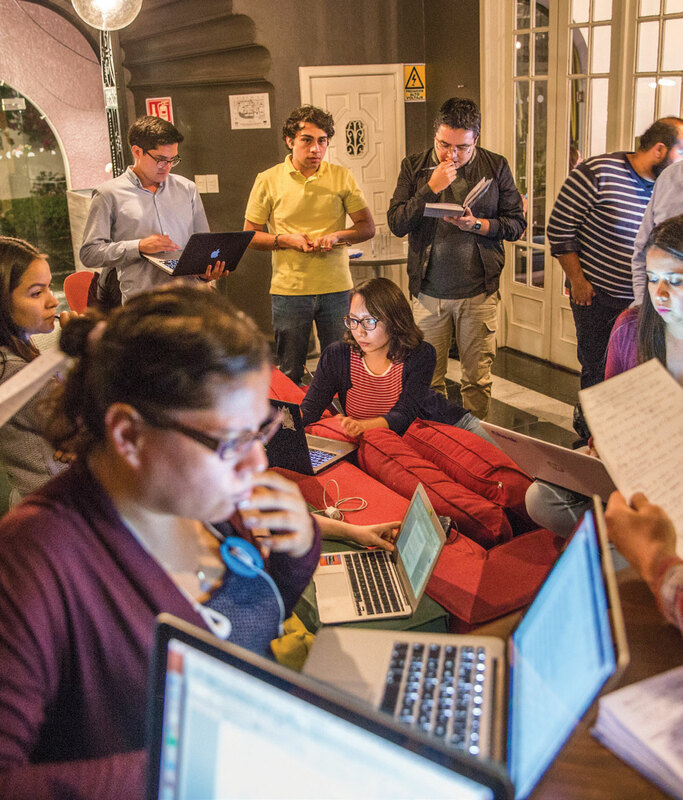 Revolutions in technology threaten democracies’ ability to cope with the complexity, speed and trajectory of change. Democracies, like corporations, can now be hacked. Social media distorts the free flow of facts that has been the lifeblood of democratic capitalism. In the past, disruptions to employment brought about by rapid technological change resulted in a movement of lower-skilled jobs to newer industries. But now we may no longer be capable of providing enough new jobs in areas where they are needed. The financial and technological challenges are compounded by a rising economic inequality. 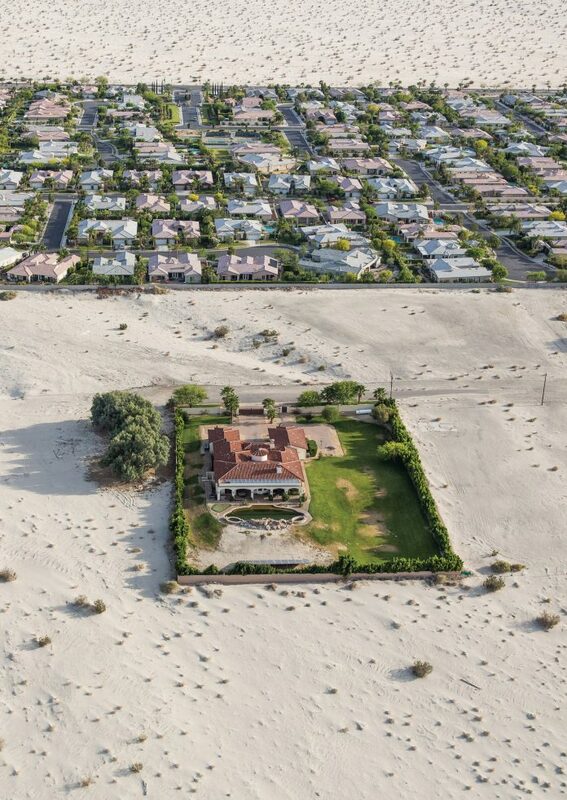 The extreme concentration of wealth in the United States in recent decades is well documented. The new barons of capital and technology thrive while the American middle class stagnates and the American dream fades. The bottom line is simple: Citizens will continue to support their democratic capitalist systems so long as there is reasonable equality of opportunity and a humane social safety net. Take these away and the citizenry no longer has a material stake in mainstream democratic politics. Nationalism and xenophobia take over. Lastly, there are the inherent structural failings in modern democratic politics. In the United States, unrestricted campaign financing continues to undermine democracy. The spectacular corruption of the electoral redistricting system — gerrymandering — only compounds the problem. On top of this, the polarization of traditional news media by Fox News and others is poisoning the capacity of the democratic system to build a sustainable consensus around what is left of the political center, as shown by the debacle of the American gun-control debate. As Western democracies look increasingly sick, other systems of governance are now on offer. Russian nationalism represents a departure from Western political, economic and diplomatic norms. China has become increasingly confident in its own model, described as authoritarian or state capitalism. And its “Beijing consensus” is held up to the non-Western world as an example of a more effective form of national, and even international, governance. If the United States wants to remain a global beacon of democratic capitalism, it must first confront its domestic challenges. The American social contract needs to be rebuilt through a revised New Deal. The social impact of technological change must be politically managed, rather than left to the market. Finance should return to its historical role as the servant of the real economy, rather than its master. And the Supreme Court must set a new direction on campaign finance (by overturning the Citizens United decision), gerrymandering and some of the crazier interpretations of the Second Amendment used to justify a breakdown in basic law and order. The United States also needs to re-embrace its responsibilities to the liberal international order it painstakingly created after World War II. This order was anchored in the United Nations Charter, the Universal Declaration of Human Rights, the General Agreement on Tariffs and Trade, the International Monetary Fund and other institutions and principles that have become the bedrock of free societies, free economies and free polities. The world now asks: Does the United States still embrace this order? Both democracy and capitalism are relatively recent developments in the long history of the West. They represent even more recent developments in the considerably longer history of the East. Both represent the enduring idea of freedom. Yet both rest on increasingly fragile political and economic institutions. History cautions us against any belief that democratic capitalism will somehow inevitably prevail. Unless, of course, we make it so by tending the garden while there is still time. 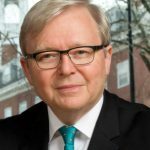 Kevin Rudd is a former Prime Minister of Australia and is President of the Asia Society Policy Institute in New York. The World Needs a Stronger E.U.